Do you have a future anthropologist in your family? 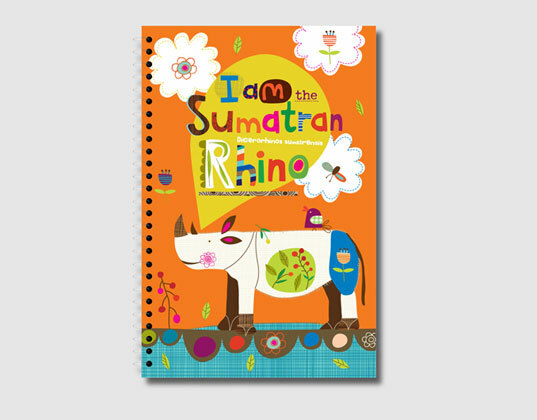 Send her back to school with one of Ecojot’s new colorful notebooks. The Canadian green stationery company has teamed up with the Jane Goodall Institute to create a special collection of wildlife notebooks, journals, and sketchbooks featuring endangered and threatened animals — chimpanzee, giant panda, Sumatran rhino and whooping crane. They’re made using 100% recycled, acid-free and chlorine-free paper, along with vegetable-based inks and glues. Quotes from inspirational Goodall grace the covers such as, “That I did not fail was due in park to patience.” And best of all, the royalties from the sales will help establish innovative community-centered conservation and development programs in Africa and help support Jane Goodall’s Roots & Shoots a global environmental and humanitarian youth program. Do you have a future anthropologist in your family? Send her back to school with one of Ecojot's new colorful notebooks. The Canadian green stationery company has teamed up with the Jane Goodall Institute to create a special collection of wildlife notebooks, journals, and sketchbooks featuring endangered and threatened animals -- chimpanzee, giant panda, Sumatran rhino and whooping crane. They're made using 100% recycled, acid-free and chlorine-free paper, along with vegetable-based inks and glues. Quotes from inspirational Goodall grace the covers such as, "That I did not fail was due in park to patience." And best of all, the royalties from the sales will help establish innovative community-centered conservation and development programs in Africa and help support Jane Goodall's Roots & Shoots a global environmental and humanitarian youth program.